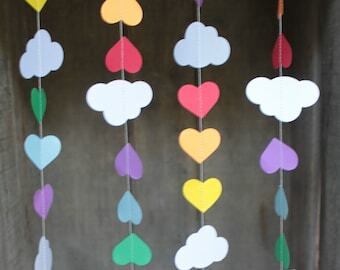 Paper garland perfect for baby showers and children's birthday parties. 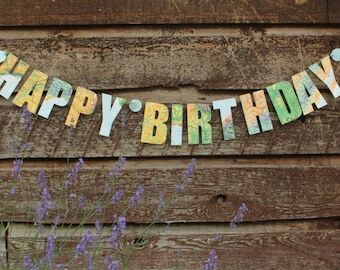 Made from pages cut from a vintage Nursery Rhyme book. Finished garland is 10 feet long. 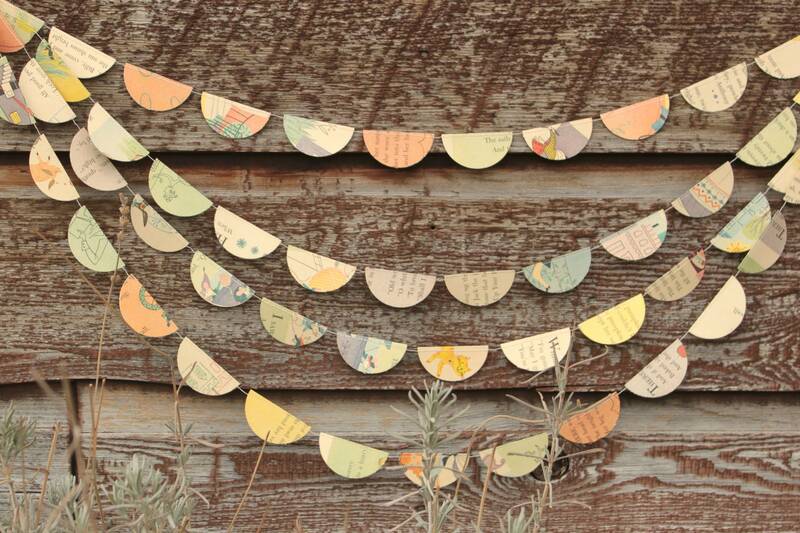 This pretty garland is made of half circles, hand punched from the pages of a vintage book. Each half dot is 2" across and 1 inch long. The dots have been run through my sewing machine and there is enough thread at the end of each garland to tie together or hang up.